This handy woolen Tassle comes in RED and a dark GREEN as seen in the picture, loop at the top (as shown) to hang from your belt or quiver, now available with white crocheted top, an exclusive from the maker to Richard Head Longbows. Is 7-8 inches in length. 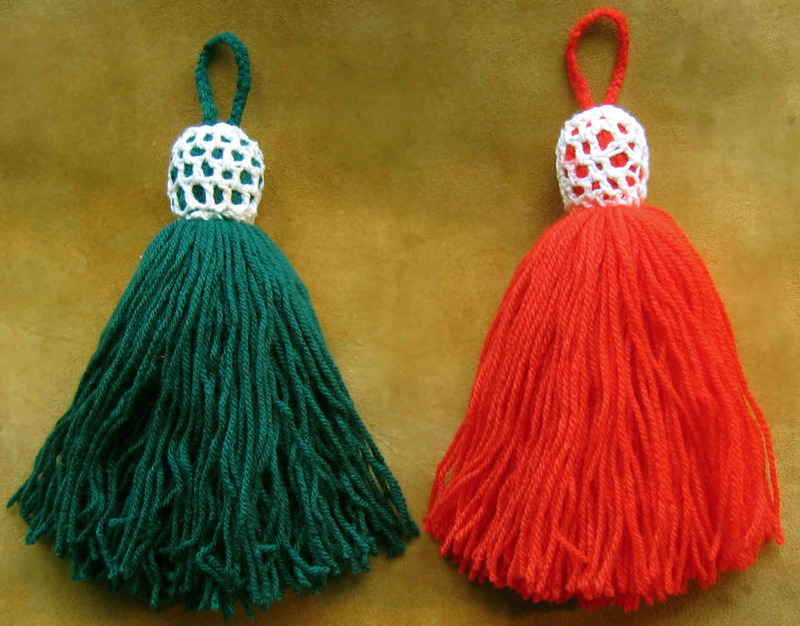 Use the drop down menu to choose which colour you want, sold in singles, choose how many tassles you want at check out.